We’re going on a 7-day cruise with Norwegian! to Ochos Rios, Jamaica; the Grand Cayman; and Cozumel! We are so excited to go on our fist big vacation together! I think a cruise is the perfect way to spend the first week of married life together! We love food and spas and adventure, and we can’t wait! I’ve had lots of family and friends asking my mom what Cason and I want, to which my mom replies, “Well they are registered at Target, Bed Bath & Beyond, and Kohls.” However, I’ve heard that the response usually goes something like, “Yes, but what do they REALLY want?” So, I thought I would make a quick guide for the guests who want to know what we REALLY want. Moral of the story: I will cherish any and all gifts and attach sentimental value to everything. However, I am a fan of the personal gifts–the ones that we will use forever and likely not have to toss. Cason is the memory-maker and story-teller. He likes to experience life and look back fondly on memories. So even though including a check in a nice card may seem impersonal, he’s likely to look back on our honeymoon in 5 years and say things like, “Remember how much fun we had zip-lining on our honeymoon?” And he will be thankful that our family and friends contributed to that experience. We both like things that are practical and good for everyday use. And we both love food! So, organization and kitchen items are always a good fall-back. For this type of gift, our Etsy registry is a must-see! Many of these items can be found on our Target and Bed Bath & Beyond registries. While the rine rack Fridge Binz is probably the most fitting for me, we have several options on our Bed Bath & Beyond registry that make organizing the fridge a breeze. One can never have too many bath towels! Check out our Target registry for a list of our favorites! These are probably some of our favorite gifts on the list, and we will likely use them for years to come! Check out Target, Bed Bath & Beyond, and Kohl’s registries for more details. As a footnote, please feel free to take advantage of each store’s savings programs! Sign up for 20% off coupons from Bed Bath & Beyond, and use the Target and Cartwheel app for extra savings! Though I always thought I wanted to get married in a church, when it came right down to it, this place was it! The vision that Cason and I (mostly the latter) had dancing around in our heads was perfectly fulfilled in Vinewood Plantation. Let’s take a quick tour, shall we? 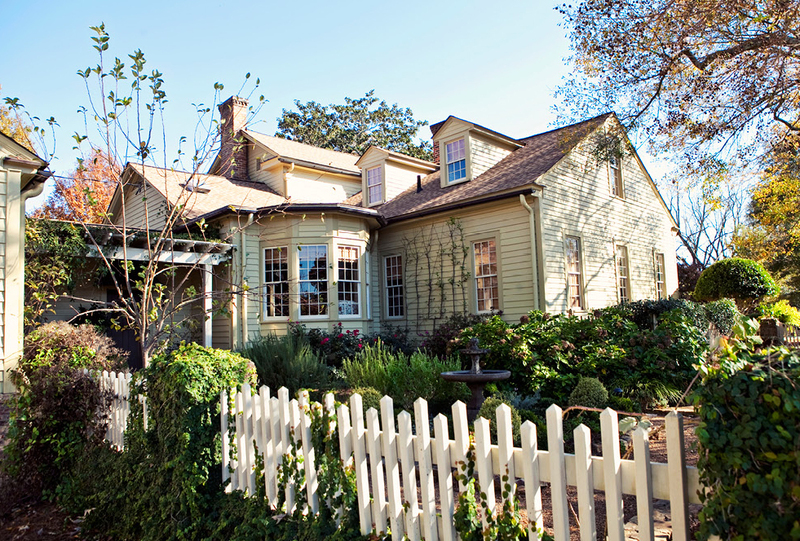 Vinewood Plantation’s house is the first thing you see when driving onto the property. If you think the outside is gorgeous, you should see the perfectly decorated rooms on the inside! It’s going to be perfect for getting dressed with the ladies and taking lots of photos! 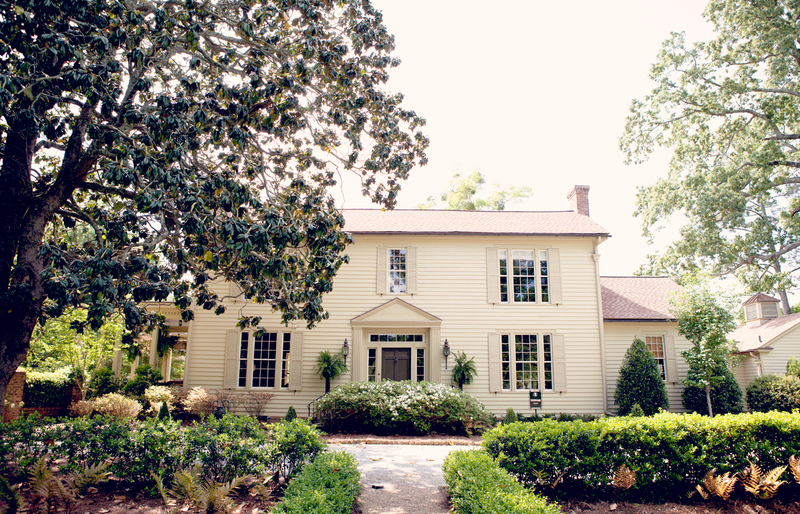 The back of the house is just as gorgeous! It houses rooms for the groomsmen to get ready in without spotting the bride and her bridesmaids. Also a great spot for a photo op! 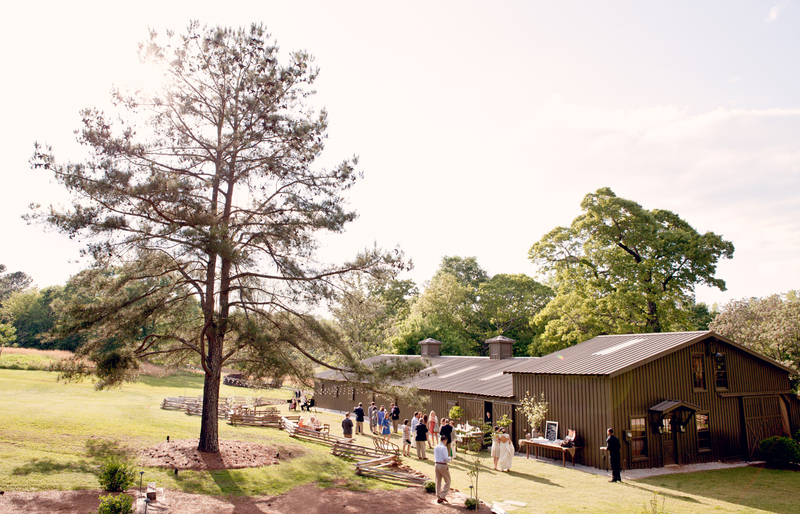 The barn is the perfect place for a rustic-glam reception! I’ve seen all the fabulous ways to decorate this spot, and I can’t wait to walk in after the wedding and see how everything comes together for our special day! 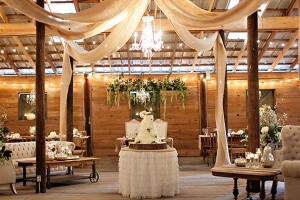 Here’s one example of the inside of the decor inside the barn. How fabulous is the draping and the chandelier? One of the many fabulous details at Vinewood includes their eclectic collection of perfectly mismatched wooden chairs. 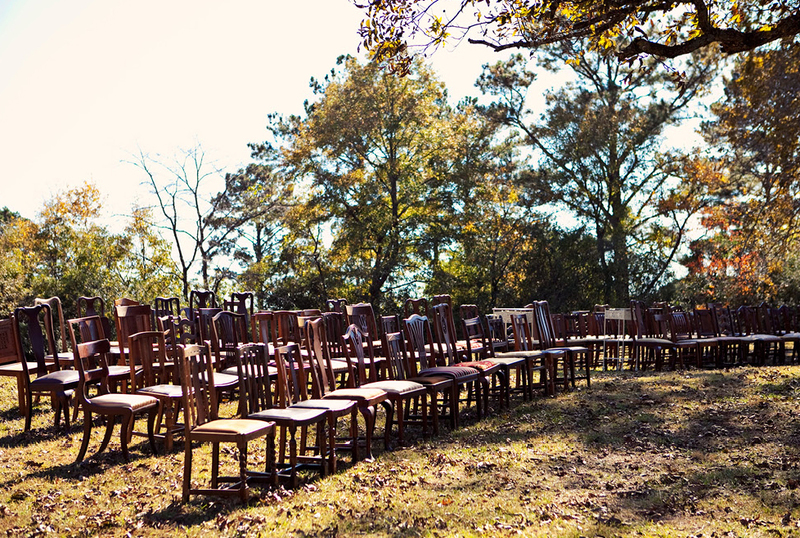 I can’t wait for my guests to sit in chairs as unique as they are! I think it’s a great image of many different people coming together to support us on our wedding day. 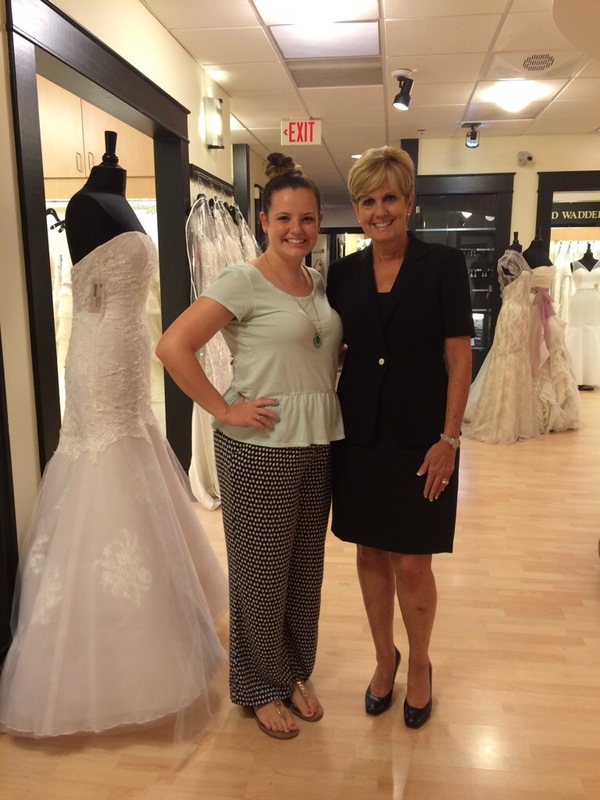 This weekend I made an unexpected trip to Bridals by Lori (aka, Say Yes to the Dress Atlanta) to pick up my wedding dress. I was originally going to wait until August, but we had some extra time after our conference was over. 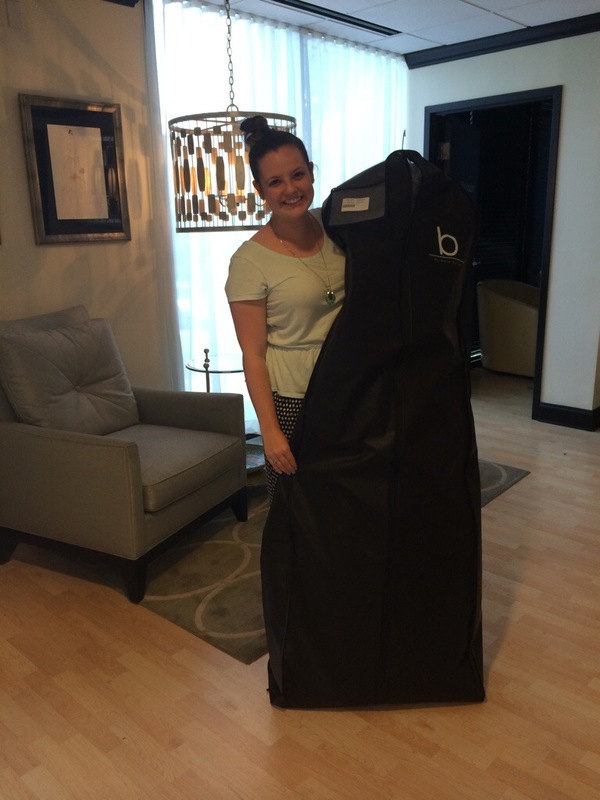 I even got to try it on, and it fits like a glove! I also got to meet Lori, which was pretty awesome. I’m still waiting to meet Monte, but I’m gonna make it happen for sure! Y’all! I just got one of the most awesome boxes ever from Influenster! If you haven’t heard about them, read the fine print below! They are pretty awesome. Well this past week I got what they call the #VowVoxBox, which included items directed towards brides. So, I’m going to review some of those items for you here today! So, I almost bought this product during one of my weekly shopping therapy sessions at Target last week. Thankfully I didn’t, and now I get to try it for free. Don’t be put off by the fact that it feels rough before use; it softens in water. I think it will be just what I’ve been searching for! Further updates to come! This is a go-to toe nail color for one of my good friends, and rightfully so! It’s a fabulous color, especially for the spring and summer. Also, it’s perfect if you’re still looking for your ‘something blue’ for the big day. Can I just say that my first reaction to this product was WOW! I couldn’t believe they included it in the FREE trial box. 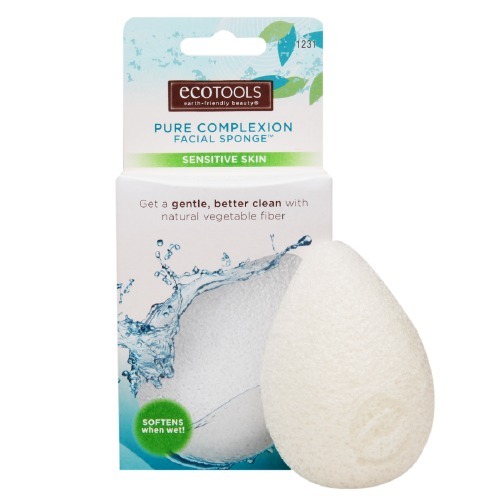 Y’all, this product runs upwards of $30. If you know me, you know I’m not likely to spend that much on beauty products, but I’ll always make an exception for a good moisturizer. 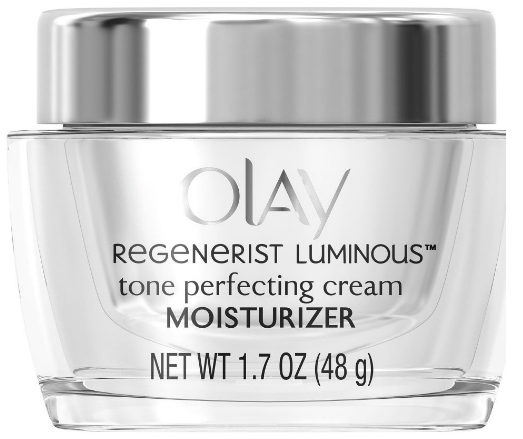 This gives my normal moisturizer a run for it’s money. Let me be honest here: I typically go with soap when it comes to shaving. 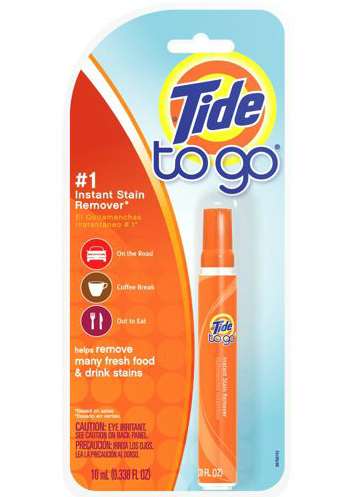 However, this was a nice product to have in the latest VoxBox. No complaints! What a great item to incorporate into a wedding day survival kit. (Have y’all seen those? Aren’t they great?) 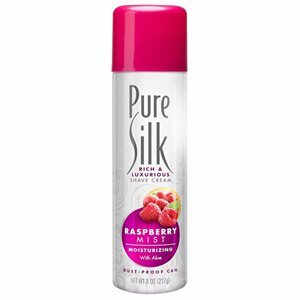 One tip, which is probably common sense: don’t use this on your wedding dress, obvi. 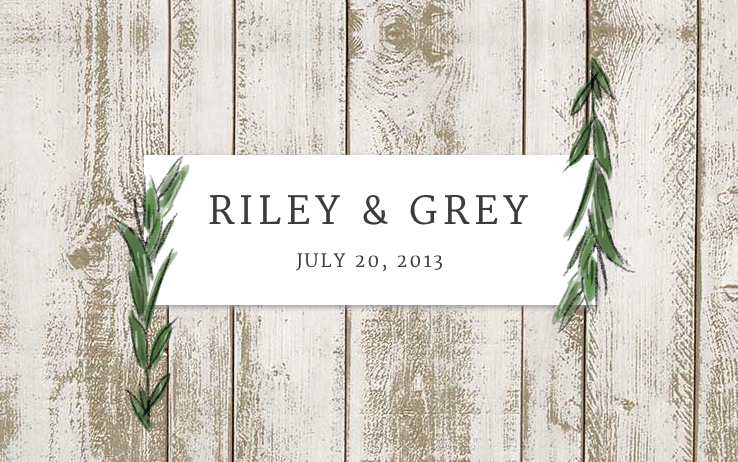 When I was looking at wedding websites a couple of months back, I’ll admit that Riley and Grey would have been my first choice for several reasons. They are absolutely gorgeous while at the same time incorporating everything you could wish for in a wedding website (including a RSVP component). However, I will warn you that the price is more than what I was willing to pay. Check it out for yourself, of course! Last weekend Cason and I visited Homestead Heritage in Waco. We enjoyed the cafe for lunch then toured the village shops, which included the potter’s house, gristmill, forge, and fiber arts buildings. I’m hoping to go back and take some fiber arts classes in the fall, if my schedule will allow. Please check out their website for more information and enjoy our photos below! We had a truly fabulous date day (as we like to call them), and we are looking forward to going back! A photo of us together on the bridge to visit the village shops. Cason getting ready to enjoy his delicious peanut butter pie. Cason in front of the gristmill. Cason checking out the inside of the gristmill. Inside of the fiber arts building. Me in front of the fiber arts building. Side note: Expect more posts soon about my first year in graduate school as well as my upcoming study abroad trip to Costa Rica! 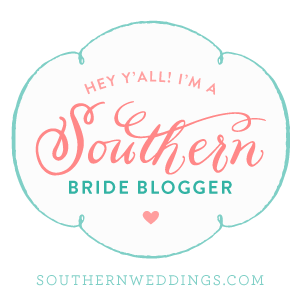 Super tiny sneak peek, but isn’t it pretty? Somehow during this busy weekend I managed to find time to order them! (Imagine that!) I cannot wait to see them in print! They should come in sometime this week, and I think it will be a pretty sweet end to a busy two weeks! Now we just have to finalize the guest list, and as soon as this semester is over, I’m going to address these babies and get them in the mail! It’s the little things that make everything seem real. I mean obviously getting married is a very real thing, so I’m sure you’re wondering how it may not seem so real at times. Well, here’s the truth: life is crazy busy and in living day-to-day with my fiancé I sometimes forget that there’s a wedding coming up and a honeymoon and a new life together. Plus it’s so super far away (255 days, to be exact) that it’s easy to forget that it’s “coming up.” But the save the dates are real, and they will be delivered to me so soon! Then they will be coming your way, so be on the lookout! It has been a crazy time with school right now, y’all, so forgive me if my posts are lacking lately. Another little thing: On Monday night, Cason and I stayed up SUPER late (like 2am, late) to see the lunar eclipse. It was ah-mazing. We mostly stayed inside and went outside every 10-15 minutes to see the progress (mostly because it was rather chilly outside). Well when we went back out right after 2am (when the eclipse was complete), not only did we see an awesome red-colored moon, but we also saw a SHOOTING STAR. It was incredible! It literally looked like it was shooting right towards us. I was so excited! Apparently some other kiddos in the neighborhood thought it was pretty neat too, because we could hear them cheering in neighboring yards. What a cool experience. I absolutely cherish those little moments in time that cause us to pause and take it all in. Oh, and today is mine & Cason’s first day of pre-marital counseling, eek! We were supposed to start last week, but I think our counselor was out sick. So here we go! Also, I was going to add the pics that I received from the open house, but as of right now, that may or may not happen. Check back soon! Skinny Mom started posting daily inspirations to encourage others to #sharemorelove, which inspired today’s Wedding Wednesday post. After all, what relationship doesn’t need more love? Lately, I’ve been thinking about new/better ways to show sweet Queso** how much I love him. With me going to school full-time and working part-time and him working full-time and going to school part-time, our schedules stay pretty packed; it’s easy to get stressed and to let that stress seep into the relationship and expand. So lately I’ve found that the best way for me to combat this is to stay positive, be encouraging, and pray a whole lot! That’s why I chose these sweet quotes to display for today’s WW. Hopefully they serve as reminders for us to be kind to our significant others, whether we’ve just met, been dating for a while, are engaged, or have been married for what feels like forever. They’re the one, right? Let’s strive to love them best (after God, of course), and treat them with love and kindness. Can you tell that I needed a gentle reminder in this area this week? I’m by no means perfect or even good at it, but I believe that life is a process–we must continually seek truth and goodness and strive towards that. **That’s what I call Cason about 40% of the time. It’s ‘Case’ about 50% of the time and Cason only about 10%–usually when I’m upset! By now, I’ve probably read every article there is about getting married and changing your name. Who knew it could be such a process just trying to decide what to call yourself. Do I drop my maiden, keep the first and middle, and add his last name? Do I forego the name change altogether?–um, no. I’m keeping all of my names. Yup! All of them. I go by my first name–can’t get rid of that. My middle name is unique–not doing away with that one. And there are no more boys to carry on my maiden name–so I’m keeping that one too. Then I will get a wonderful, new last name! Yes, I’m taking Cason’s last name. No, there was never really a debate about that. So here’s the question: what do you do with your monogram when you have FOUR names? Well, I decided that I’m just going to use my first, middle, and new last name in the monogram. I don’t really have a good explanation on this one, besides the fact that it’s just easier to switch the “big letter” than to move all of the letters around. So there it is! 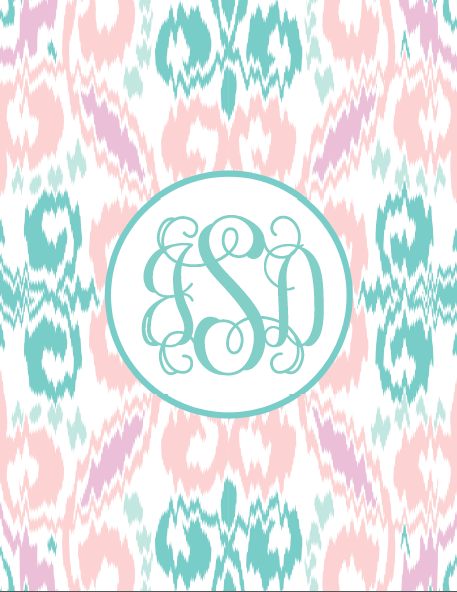 How did you change your name & monogram when you got married?